Jesus had told him that he would go where he didn’t want to go and be led to places he never wished to be…but Peter wasn’t quite prepared for the violent onslaught the seemed to never end for his fellow apostles. Stephen had seen a horrific end, though many had believed. 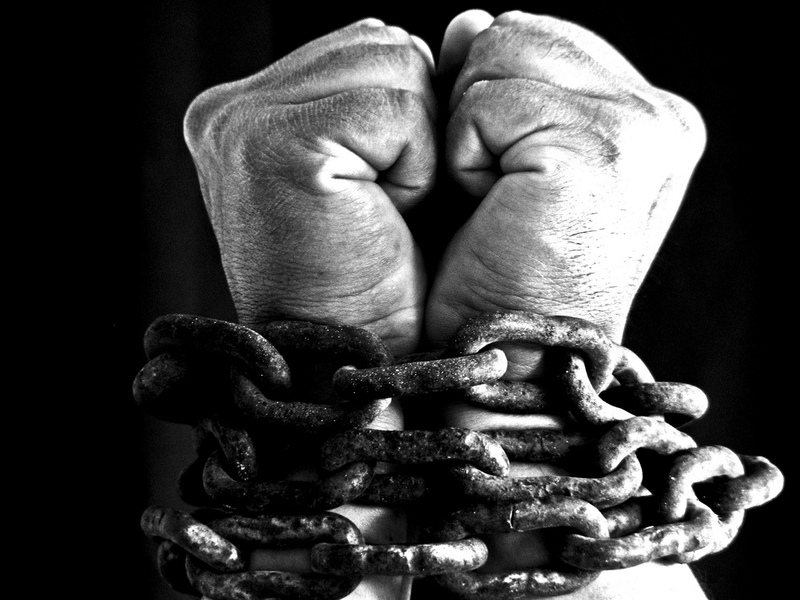 Now, sitting in prison in chains, surrounded by guards Peter considered that this might be the end of his journey too. After all, just hours ago Herod had executed James the brother of John by the sword and Peter though full of faith, wept for his family. In a very small corner of his mind he ponders just for a brief second what may have taken place had he left Jesus when he had had the chance. Yet, Peter quickly pushes that thought aside as an overwhelming warmth of love fills his body when we remembers the master’s face. He remembers what forgiveness felt like on that beach after he had denied Him three times. His love poured out undeservedly upon Peter. “No I would not change a thing”, Peter says to himself. No second guessing, no self-pity, no turning back! The chains jingle as Peter, a little bruised and tender, shifts position in the dingy rank cellar of a prison. The guards are positioned all around him, as if Peter were some sort of Samson-strong man who could take down a regiment of soldiers with just a jaw bone of a donkey. The guards eye him carefully as he shifts in his chains, King Herod had been explicitly clear that this man had to be watched and that if anything happened to him they would pay the price with their lives. King Herod was a vicious man not to be trifled with or taken lightly. Minutes pass that seem like hours, as the torches on the walls flicker casting shadows on the molding green stones of the cell. Peter, slumped and weary, closes his eyes intent on praying but too emotionally drained falls quickly into a fitful sleep. It seems like a second passes when someone strikes him on the side to awaken him. At first Peter thinks it’s one of the guards and he wonders to himself, “is it time?” Looking up he finds not a solider dressed in military garb, but rather an Angel luminescent and powerful to behold. As Peter looks at the angel, sleep blurred and groggy, the angel looks fiercely back at him and says, “Quick, get up!” Thinking it a vision, Peter doesn’t hesitate or ask any questions and as he moves to pick himself up off of the damp floor, the chains fall off of him as if they had never been clasped tightly around him at all. Bewildered and yet unsure of what this was real or a vision, Peter stands before the Angel. “Put on your clothes and your sandals Peter!” The angel continues his instructions to Peter, “wrap yourself in your cloak as well!” Peter doesn’t waste any time in protesting, he’s learned long ago not to question but to obey. 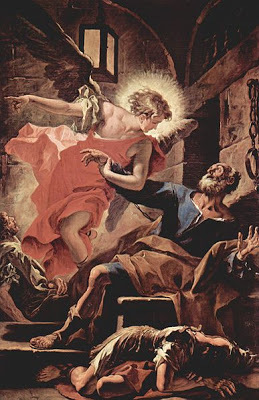 After dressing and putting on his cloak, the angel instructs him, “Follow me.” Again Peter, thinking this to be a vision, does what the angel says and puts one foot in the front of the other and walks right out of the prison. He walks right past the guards who had been keeping a careful watch over him and they do not even respond to his passing. 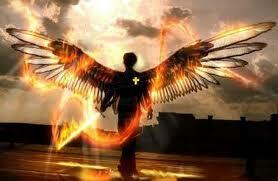 He follows the angel through the metal doors and past the outer door that leads into the city. The door even opens by itself. 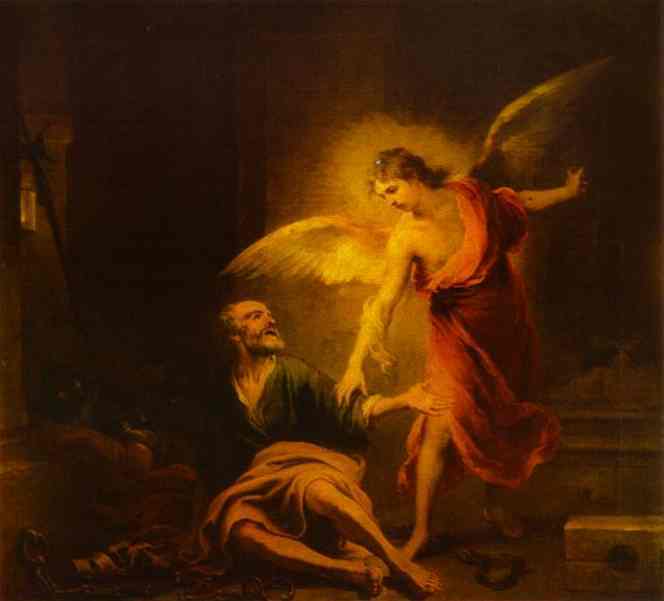 After Peter has walked with the angel for about two city blocks, suddenly two things dramatically occur: The angel disappears, vanishes completely from sight. The second thing that amazes Peter is that this isn’t a vision at all. This is very real…and he is now free! What started out as a death row vigil has become a divine prison break! Full of joy and renewed mission, Peter makes his way to the house of Mary, mother of John Mark. His fellow brothers and sisters in Christ were gathered there earnestly praying. And as Peter knocks on the front door, a servant girl answers and is shocked to see Peter there in front of her. She is so shocked by his appearance there that she shuts the door on him and runs off to announce his arrival. A fugitive, by the name of Peter, is standing outside in the open air while the small house church is made aware of his escape and arrival! At first they don’t believe the servant girl, “how could this be?” One apostle asks. “She’s just making up stories!” Another voice calls out from the back of the room. Then another Christ-follower offers another conclusion of who it might be; “It could be an angel” He says. Now curious what or who has caused this commotion, they all rush to the front door and find out for themselves that it is in fact Peter who is still knocking at the door. Peter is standing there and he is free! They are amazed at this miracle! For hours they had been gathered in a small room made sacred by their continued prayers. Their faith, love and intercessory prayers had been answered! Peter, though prison weary, recounts the miracle and the angel and all who hear rejoice and are amazed! Knowing he is now a wanted man who is an escapee from prison, Peter leaves their company quickly and without delay before the sun even has a chance to crest over the city walls. Does God answer prayer? In the midst of our deepest struggles and in the midst of our trouble lives the answer is a resounding ‘YES’! Though there will be times that He doesn’t answer the way that we think He should, what we are called to be is faithful! Will the dangers be lifted from us? Not always. We may still have to endure the valley of the shadow of death a time or two…but know that we never walk these paths alone! God really means it when He says that He is our shepherd and we are under His care! Believe it and received it today!